Hi guys, so my school is running a Work Experience Day on the 16th of June 2015, and what this basically means is for us year 12 students to try and find a job that we may be interested in the future, to have a one-day work experience with them. This is just purely volunteer work, and no payment is required. I was wondering if any of the top IT companies in Auckland would kindly take me under their wing for one day, for Work Experience, on the 16th of June please? This would be very much appreciated and would really help me get an understanding of what goes on during the day, in a IT company. If you could elaborate on what type of IT I could ask here. No promises sorry. What is year 12 converted into form? johnr: What is year 12 converted into form? Thanks guys, the type of IT work I like doing is more hands-on stuff so I guess like an engineer. Do you have any topics that are of interest to you? Web, coding, servers etc? A lot of network stuff interests me! If you don't mind me asking JohnR, what does a typical day in the office look like for you? You don't want to spend time with JohnR. Anyone over the age of about 24 would find forms easier to understand than grades/years. I have to tell my younger sister that whenever an adult asks her what class she is in, room 13 is the wrong answer, and she should say "standard 4" instead. I now know how my grandmother felt trying to show me the correct way to do sums and subtractions on paper, when i was my sisters age. - 1am Set alarm for 8am, go to sleep. - 6.30am Phone rings. Customer1 cant access their terminal server. Tell them to connect to the wifi. Go back to sleep. - 7.30am Phone rings. 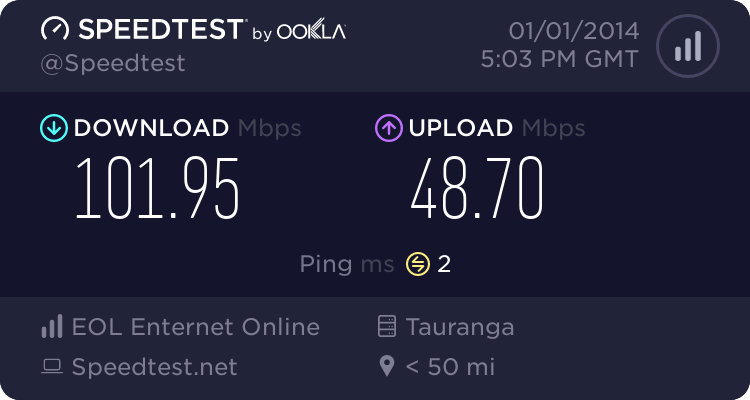 Internet not going at customer2 site. Tell them where dsl modem is to restart it and to txt me if not working, will see them at 9 if i get a txt. - 7.45am Phone rings. Customer2 still cant get on internet, get out of bed and start up computer to try pinging them. Ping passes. Cant sleep now, get into shower. - 8.00am Alarm buzzes, get out of shower and drive to customer2 site. - 8.15am Arrive at customer2 site. Restart modem. Internet now works fine. Boss calls. Needs me at another site - server not going. - 8.45am Arrive at customer3 site. Found terminal server not working. Turn it on. 6 accountants and a secretary now happy. They can log onto the terminal server and access facebook. Check logs - find office manager had shut down terminal server from home at 5am that morning. Remove managers permissions to shut down server - this will hurt when troubleshooting over the phone from the expressway in the future. - 9am. Employment Contract says my day begins now. - 9.10am walk into office. Other staff annoyed at me being "late". Tell them to go f* themselves. - 9.15am Our office manager walks in for morning meeting, AKA "Whats on the board miss ford"
- 9.30am Check emails. Nothing important. Oh chorus are sending a tech out tomorrow for a fault I recorded on behalf of a customer last week. - 9.35am Phone call. Customer4 cant print. Screen connect in and show them how to change their destination printer. Try to explain to them that if they dont log off the terminal server when leaving one branch, the server wont set their default printer to the new branch when they reconnect. Two hours of time you spent creating a feature, finding the script code and rolling it out across the clients computers that goes un noticed and taken for granted suddenly makes a manager angry at the stupid computer system. - 9.42 TXT from chorus technician asking where you are. He is onsite with customer5 and needs access to their data cabinet. Customer5 doesnt know where data cabinet is in building. Why is he on site a day early? I am glad I dont do this anymore. What are year 12 and form 6 converted to age? I hear that there are a lot of different jobs in the IT sector. Is someone able to briefly state the many job names? I really don't mind what kind of job in the IT sector I do for this day as it is a day for me to see if that job is good or not. It could even just be sitting at a IT helpdesk for the day, learning about the different jobs that they do in there! There's loads of Jobs in the IT sector. The Job names I wouldn't have a clue. But I'd give it a shot. IT Technical Support: (Helpdesk. There are 3 levels.) The level Ones are basically what you first get when you ring into the ISP who doesn't know what they are doing. Level Twos are somewhat helpful (Still no better than level Ones) And Level Threes are the ones who can send out a Chorus Technician. Network Engineer: design,install, and configure computer systems, and the software and hardware that runs them. Systems can range from a connection between two offices in one building, to a global network connecting offices across the world. Web Developers: Plans, produce and maintain websites using web programming languages, software applications, and databases. Graphic designers: Create artwork or designs for the promotion or development of goods, services and ideas. They may also design artwork and/or layout for fabrics, websites, magazines and other publications, or help to develop television advertisements. Web designers: Plan, design, develop and prepare information for websites. They aim to make websites visually appealing, functional, and easy to use. There are heaps more. But those are the main ones I know of anyways. I'd ask my boss if we can help. Hopefully.